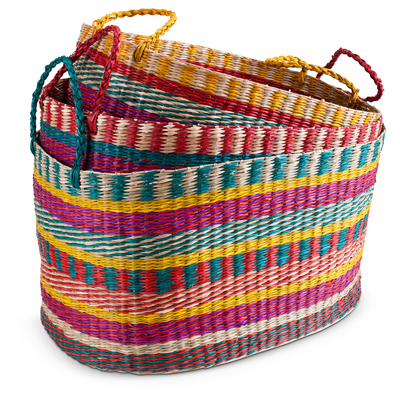 These Colorful Seagrass Nesting Baskets are a must for storing in style. Bold colors will brighten up a bathroom, kitchen or playroom. Set of 3. $78 Sale $65. Buy here.